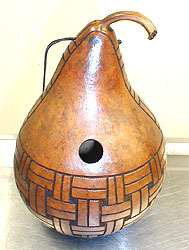 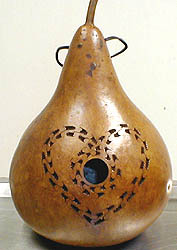 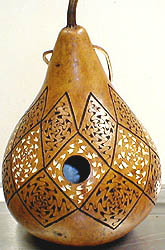 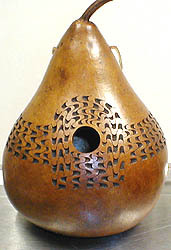 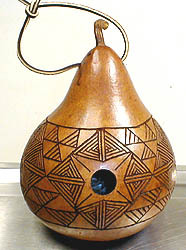 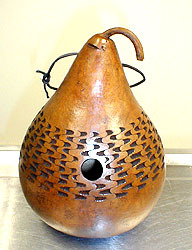 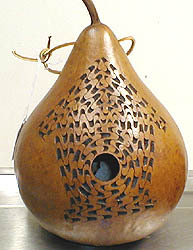 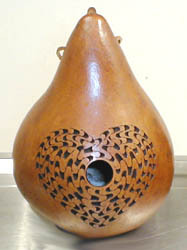 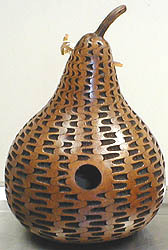 The gourds on this page are kettle-shaped and are approximately 8-9" tall and 6-7" wide. 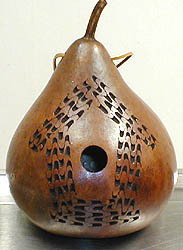 The 1" opening is the right size for a house wren. 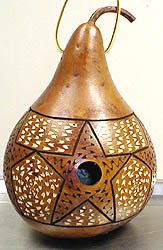 The birdhouses have a leather loop for hanging, and they are made for outdoor use with the exception of the two styles (diamonds and stars) with light colored carving, since the light colored carving tends to discolor outdoors. 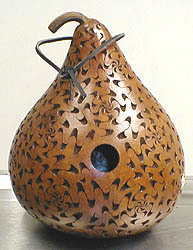 Prices shown below do not include $5.00 shipping per address or 7 1/2% sales tax for Ohio residents.